achtung - QUARKS remixes.turner turns the queen's heart - the "königin" is dancing now. gonzales wanted all and more, and he got it: "alles und mehr" flying straight and soft through he clouds. schneider tm drops the guitars - "fallen" - sounds like an ejection seat. submission bought a new dub dress and covered time ("zeit-hin"). And at last but not least: jamie hodge is secretly catching us in the dark ("dunkeln").these remixes are beautiful and shy. just like roe deer. they give every track a new brightness and let them sparkle again. 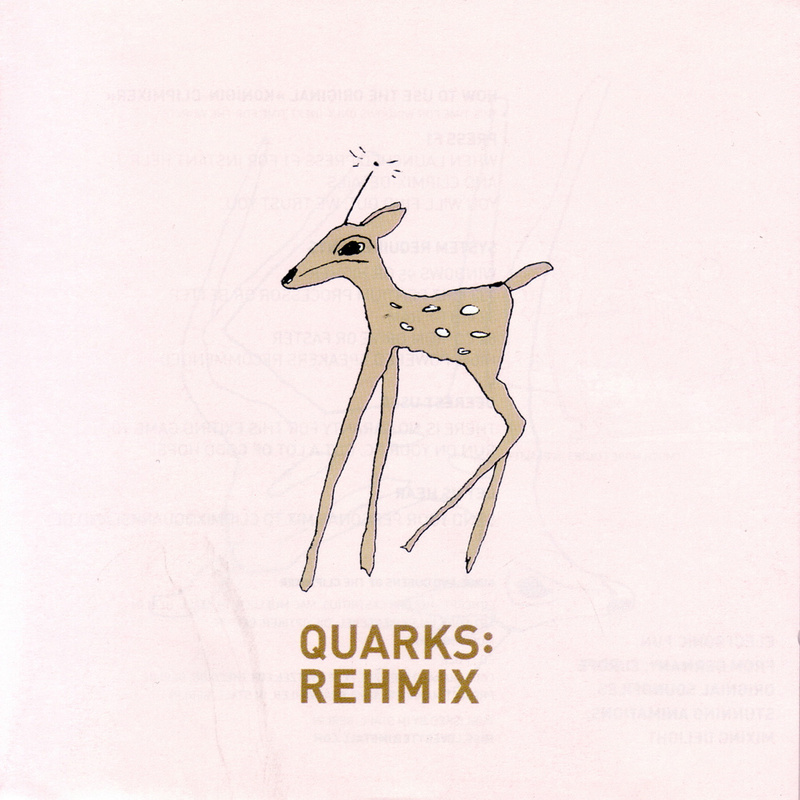 come on now- dance and dream away in quarksland.